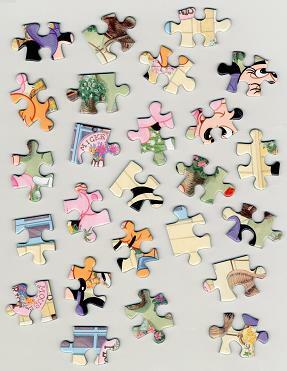 This work describes the computer solution of jigsaw puzzles. Our method employs both the piece boundary shape information and the piece boundary image information. 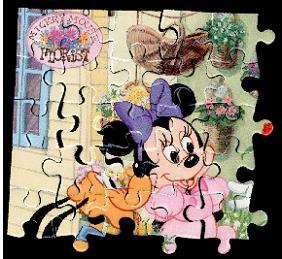 Firstly, the jigsaw pieces are extracted from the input image. Then, the corner points of jigsaw pieces are detected. And next, the piece classification and recognition are performed based on the jigsaw models. And then, the connection relationships are calculated according to the piece boundary shape matching and image merging. Finally, the connection relationships among the pieces are recovered.